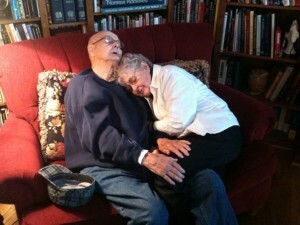 My mom and dad, married 70 years, now cuddling on the couch in my house. I am proud they have moved them into my house to live out their last years. They are the best mom and dad ever! They deserve to spend their last days with family, in peace and surrounded by love and care and support. Yesterday I drove through their childhood town of Mundelein Illinois on my way to a conference. I stopped at the Mundelein Seminary and prayed for them in the chapel. I then ran 3.5 miles in their old neighborhood taking pictures of their old houses, their high school, the place my dad was hit a truck and broke his leg as a kid and more. It was a wonderful run of recollection, memory, prayer and thanks for my parents. I have been on a Relevant Radio speaking tour through Minneapolis, Chicago, Milwaukee and now Green Bay Wisconsin. Tonight I will speak to a sold out audience in Green Bay on MARY, REAL GIRL & WOMAN OF MYSTERY. Tomorrow I will also be giving two talks at a men’s conference here too. 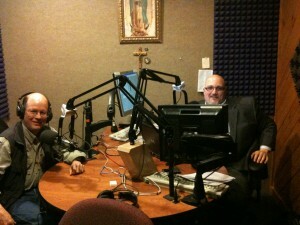 Great guys ready to know, explain, defend and live the Catholic faith. 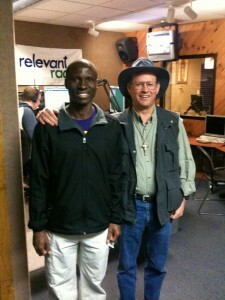 This morning I was on the air live in the Relevant Radio studios with my friend Sean Herriott (picture right). I have been on his show by phone many, many times but it was nice to see him in persona and do the show live in the studio. Then this afternoon I joined Drew Mariani and Fr. Rocky. I also met friends I knew only by voice: Doug Thompson (picture below – excellent producer of Morning Air), Josh Raymond (bearded and handsome like Joshu in the OT), Eddie O’Neil (“call no man father”), Cassandra Everts (producer of the Drew Mariani Show) and Chris Frost (who invited me to speak all over Relevant territory) among others. 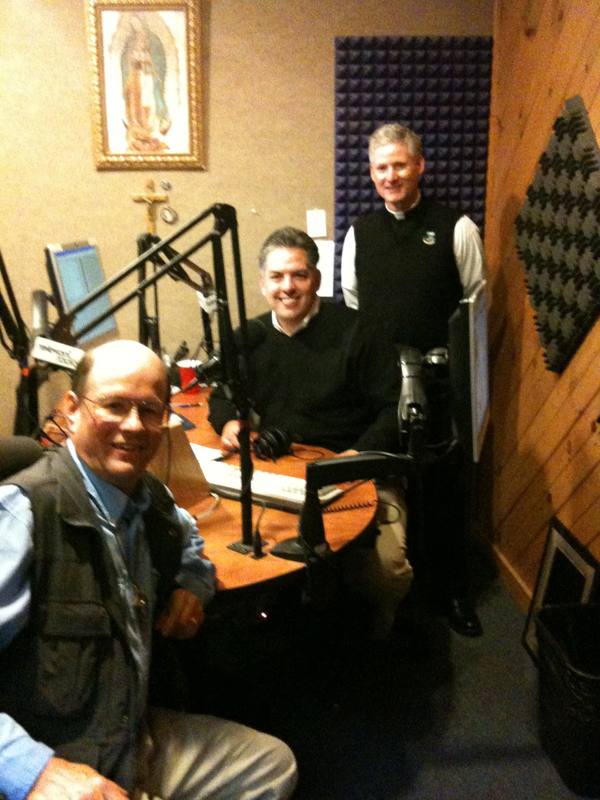 What a great bunch of folks doing a great job to spread the Good News of Jesus Christ and his Church.